And so is my family. All because of the sacrifice Stone made to save us. I don’t know what has happened to Stone or Walker, but I believe in my heart that Stone will do everything he can to make sure Walker never comes near us again. I know he’s out there, and I cannot allow myself to think otherwise. He will come back to me, to us. So until that happens, and knowing that, I need to work to make my family and myself whole again. Life can bring unexpected joys and sorrows, and it’s up to me to begin the healing process for us all. I need to be strong, and that’s what I plan to do. I’m no longer a victim because Stone showed me that I was so much more. Life is worth living. My name is Quinn, and as I awaken from my dark past, and violent present, I will start to truly live. The future has never been so bright. D.M. Earl lives in Northwest Indiana. She is an avid reader and will devour a book usually in a day. 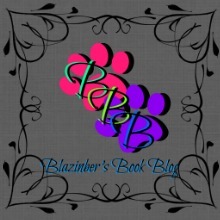 She reads anything from romance, contemporary, erotica and dark reads. Connelly’s Horde is her first published work released July 3, 2014. This is a Novella in her series Wheels & Hogs. Cadence Reflection Book 2 released on November 21, 2014. Gabriel’s Treasure Book 3 in the series released on July 6, 2015. Book 4 is in the works hoping to release in Winter 2016. D.M. has already thought out Books 5 thru 8 so lots more coming from the Horde. D.M. then started a second series, The Journals Trilogy which is a dark read filled with suspense and drama. Anguish #One released on May 11, 2015. Vengeance #Two releases on December 20, 2015. The final Book #Three will release also sometime in Winter of 2016.